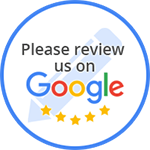 Devil Mountain Diesel is proud to serve Walnut Creek, Concord, and the entire Bay Area for all your diesel truck repair & diesel truck services needs! At Devil Mountain Diesel, we are your light duty domestic diesel professionals. With over a decade of factory training & warranty repairs, Devil Mountain Diesel is ready for all your diesel truck repair needs. Our goal is to provide a cost-effective dealer alternative, from minor maintenance to a complete diesel engine over haul. We have ASE Certified Master Technicians on staff to provide you with the highest level of quality and expert service. You can enjoy peace of mind when servicing your vehicle at Devil Mountain Diesel. Devil Mountain Diesel is also a member of the Automotive Service Councils of California (ASCCA), which means we follow a code of ethics promoted and required by the ASCCA to ensure our customers get the very best service possible. We are equipped for your every day truck or the high performance build. Our specialty is fixing trucks correct the first time. “This is the place you want working on your Ford Diesel . Bullet Proof in Arizona recomended them for the job so I didnt have to ship my truck. This crew put a Full Bullet Proof kit in My 2006 Ford F-250 and its Running Great. “My husband & I were visiting family and friends in the area when our F-250 diesel truck failed to start in my sister's driveway. 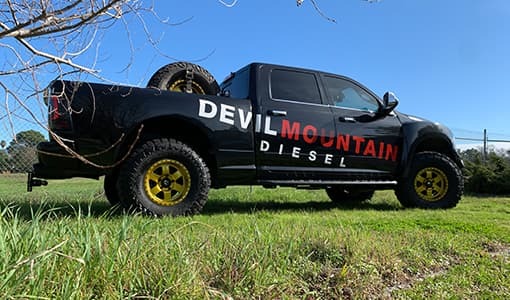 After my husband tried a few fix-it ideas and troubleshooting to no avail, he called Devil Mountain Diesel to see if they had time to take a look at it on short notice, as we were scheduled to head back home to Idaho in less than a week! They said they'd be able to fit in a diagnostic that day or next and let us know what it would take to get us back on the road. Had the truck towed on over and the guys were able to pinpoint the problem (FICM failure) and have it road-ready in time for us to leave for Idaho as planned. Mark & Jason were friendly and professional, extending us the courtesy to squeeze in working on our truck so we could get back home. Although, unfortunately, the FICM they installed failed on us 50 miles from home, they stepped up and stood by their warranty. After our local Ford dealer replaced the failed FICM, and we mailed back the defective part, Mark ensured that a replacement core was mailed back to us so we could receive the core credit here. In addition, a full refund of the part and labor was mailed as well. My husband & I were impressed with Mark's follow-through, especially after my husband made an inquiry as to how long it would take for us to receive the replacement core and refund check. My husband had Devil Mountain also replace the serpentine water pump drive belt, which has been just fine.